Are you an Advisor who wants to get more clients, bullet-proof your business, and scale your business so you can work smarter not harder? If so, let me give you 3 resources to help you do just that. Click the button below and I’ll INSTANTLY send you my 3 most popular Strategy Guides to get you started. Hi! 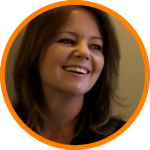 I’m Sharon Pivirotto, the founder of 401kbestpractices.com. If you’re an advisor that would like to make 401k’s a larger part of your practice, then you’re in the right place! I created this 401k Best Practices website to help you become a more successful 401k Advisor. The retirement industry is complicated enough. Finding resources and strategies that can save you time, grow your practice and protect your clients should be easy. Finally, one of the biggest questions I get by advisors is about fees. What to charge, how to charge, what does a typical fee schedule look like, and how to demonstrate the work you do and justify your fees. 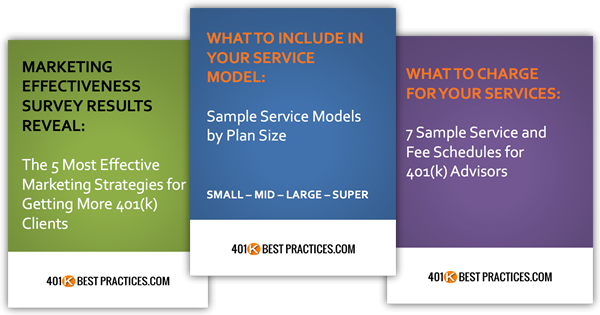 That’s why I’m also giving you the strategy guide called, “What to Charge for Your Services: 7 Sample Service and Fee Schedules for 401(k) Advisors” when you subscribe to the blog. Just click the button below to access these valuable resources now.